The beginning of a new month is something special for those owning any one of the three generations of Google Pixel phones. That's because Google starts pushing out its monthly update for its handsets during the first few days of each month. These updates not only contain the latest Android security update, but they also come with functional patches that fix various issues affecting the Pixel line. According to the Pixel Update Bulletin released today, the April update contains four functional patches, mostly for the Pixel 3 and Pixel 3 XL. One of the functional patches will make it easier for Pixel 3 and Pixel 3 XL users to activate Google Assistant with their voice. The Assistant, of course, is Google's virtual personal helper. Another fix is provided for those setting up a new Pixel 3 or Pixel 3 XL and it adjusts Wi-Fi connectivity when the eSIM is being activated. For those unaware, the Pixel 3 series (as did its predecessor) uses an embedded SIM chip instead of requiring the insertion of a physical SIM card. The latest Pixel models also get a functional patch that stops the screen from flashing when the ambient display wakens. The ambient display includes the always-on screen that features a black background with white text. This screen shows the time, date, temperature and the last few notifications received. One other functional patch was sent out, this one aimed at the OG Pixel and Pixel XL and it improves Bluetooth connectivity on those models. Speaking of the Pixels, earlier today we told you that it appears that Google has stopped selling 2017's Pixel 2 and Pixel 2 XL. 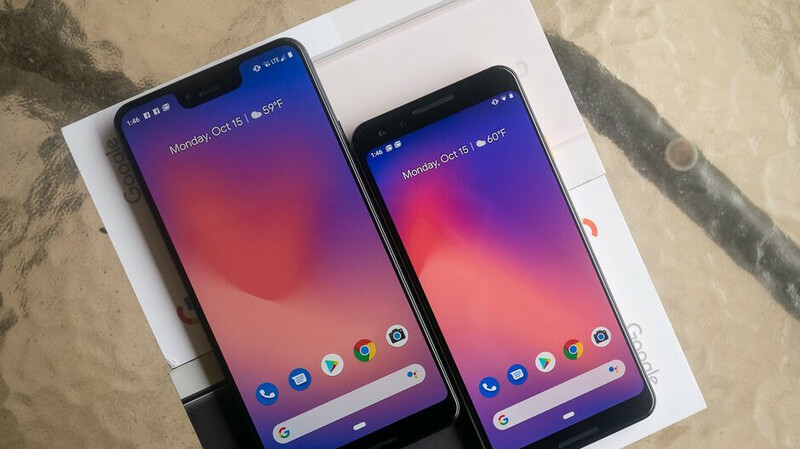 The midrange Pixel 3a and Pixel 3a XL could both be unveiled next month at Google I/O (May 7th through May 9th). And next October, we should see the Pixel 4 and Pixel 4 XL unwrapped. does it contain April Fools? Actually, no. It's legit. Downloading update for the OG Pixel now. Only for the ones who constantly exaggerate the Pixel issues that have never used one before. For what it's worth, on my OG Pixel XL, the Bluetooth does seem to stay connected better. My bluetooth headphones would have mini cutouts when the phone was in my pocket. And now they don't. It's only been a day. I hope it's a real fix. Kudos to Google keeping the Pixel phones updated on a monthly basis.